Through much of the 1990s, except for four years in Thailand, I worked for TV Week, which was then Australia’s biggest selling entertainment magazine (more than 500,000 copies a week). We also ran the TV Week Logie Awards (“the Logies”), which were, and still are, screened on Channel 9. The Logies—named after the Scottish inventor of the TV set, John Logie Baird—were a big deal in those days, akin to the Emmys in the US. The televised live event was always one of the highest-rating shows of the year. Of course, it is an invitation-only event, and in those days, we TV Week reporters received our own invitation and entered via the red carpet like anyone else. (Unlike the stars, however, we had to return to the office about midnight and write our stories. Later though, we were able to return to the all-night parties, and we got a hotel room each thrown in). 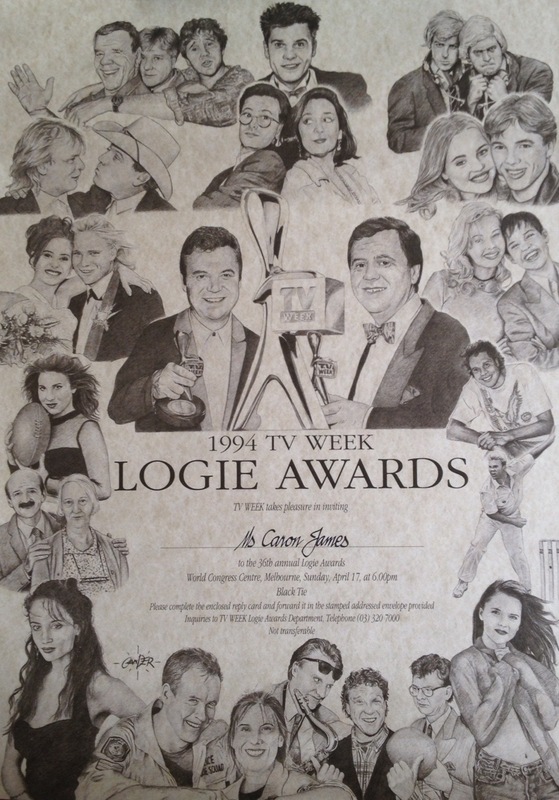 When I moved house recently, I found my invitation to the 1994 Logies, pictured above. It’s poster sized, came in a tube (which I still store it in) and featured illustrations of some of the top stars of the day. It’s interesting, 20 years on, to see their younger selves and to reflect on the industry. Some of them are, sadly, no longer with us, including the irreplaceable actor Ruth Cracknell (left, next to my name), who I had the pleasure of interviewing about that time and who won the peer-voted award that year for Most Outstanding Actress. She died in 2002, aged 76. The other who has gone is Graeme “Shirley” Strachan (bottom, third from right), lead singer of the 1970s group Skyhooks, who had become a lifestyle-show host. He was killed in 2001 at the aged of 49 when the helicopter he was flying crashed on Queensland’s Sunshine Coast. There are many in this poster whose careers kicked on and who are still involved in the media or entertainment industries, I’m pleased to say: Garry McDonald, (Most Outstanding Actor), John Farnham, Georgie Parker, Wendy Harmer, Andrew Denton, Ian “Molly” Meldrum, Gary Sweet and Sonia Todd (Most Popular Actor and Actress, respectively, for Police Rescue), Red Symons, Melissa George (Most Popular New Talent), Libbi Gorr (as Elle McFeast), Ernie Dingo, Rob Sitch, Natalie Imbruglia. Cricketer Shane Warne, then aged 25, is there in his hey-day, too. Ray Martin (centre right) not only hosted the show, he won statuettes for Most Popular Light Entertainment Personality and the big one, the Gold Logie for Most Popular Personality on Australian Television. He won many Logies, but he once told me every single one of them was precious to him and he loved winning them. At centre left is Daryl Somers, host of the long-running show Hey Hey It’s Saturday, which ran for 27 years before being cancelled in 1999. Somers and the show made a short-lived comeback in 2010. 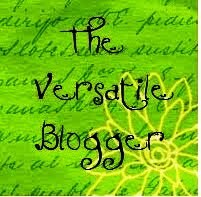 There are others there who we thought were big stars at the time but who perform only occasionally now or who have gone on to other things: Kimberley Davies, Dieter Brummer, Bruce Samazan, Scott Michaelson. There are a few glaring omissions: It’s extraordinary that Bert Newton isn’t pictured. One of the best known Australian entertainers, then as now, he had hosted the show 18 times, including the year before. The other omission is the great actor Bud Tingwall (1923-2009), who was inducted into the TV Week Logies Hall of Fame that year.